Hooray! Summer Reading Club is finally here. I love, love, love the theme for this year. PLAY! 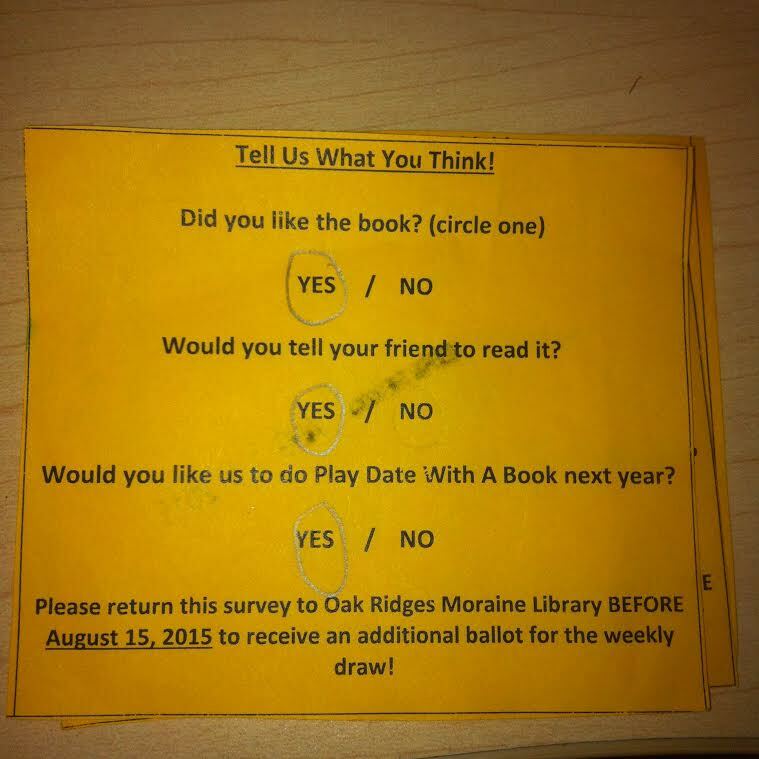 In February, I did the famous “Blind Date With A Book” for the adults, and the kids did feel left out. So, this summer, I decided to run the program “Play Date With a Book” and it went off with a hit! 2. 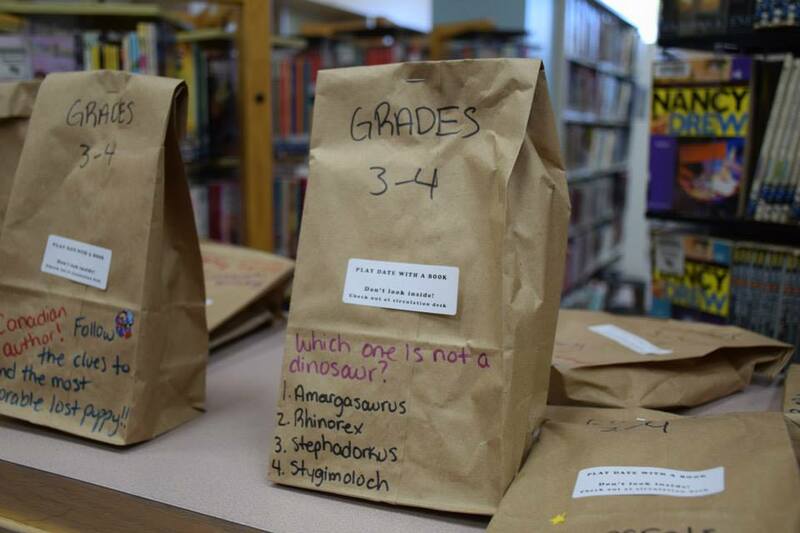 Kids choose a bag that they’d like to read. 3. Inside, I tucked in a survey and when they returned the survey to the desk, they got an extra ballot for the weekly prize. As you know, I’m a HUGE fan of low budget programming. Even though my current library has a healthy children’s programming budget, I still try to find fun projects that we can run on a low budget. Bottom line, this program is cheap to run at your library! I checked the books out onto my program card so I could track the stats. The circulation staff was instructed to override the checkout. If you’re running with SirsiDynix Symphony, this is easy to do. Otherwise, you can count them when you’re done. We made about 80 bags, and they all flew off the shelve. Later today, we’ll be making another batch of 80. I highly recommend this program, it’s CHEAP and it will boost your circulation. 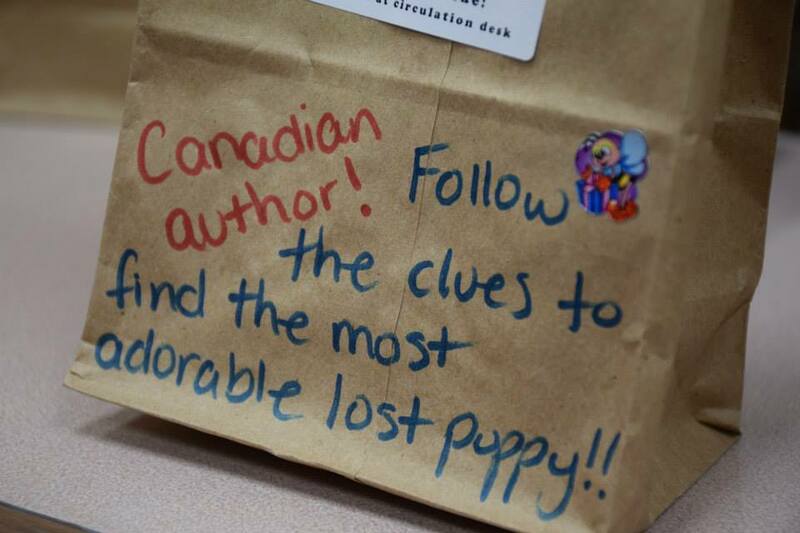 Much thanks to my Library Assistant Lori who took the time to write some of the cutest messages on the bags! I put in this survey to get some feedback.